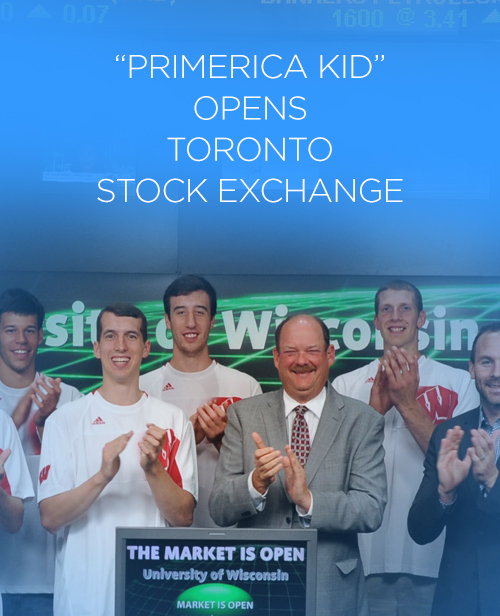 Primerica veterans Gordy & Brenda Bohannon, of Hiawatha, IA, were recently thrilled to be present when their middle son, Zach, and his university basketball team were invited to open the Toronto Stock Exchange. Growing up “Primerica” has its advantages. Experiencing the positive, encouraging atmosphere of a Primerica entrepreneur’s office and witnessing the proven success of the Primerica system often helps kids adopt the strong work ethic and leadership skills of their parents – like the Bohannon family is enjoying. Start your own family legacy of leadership and success as a Primerica entrepreneur! 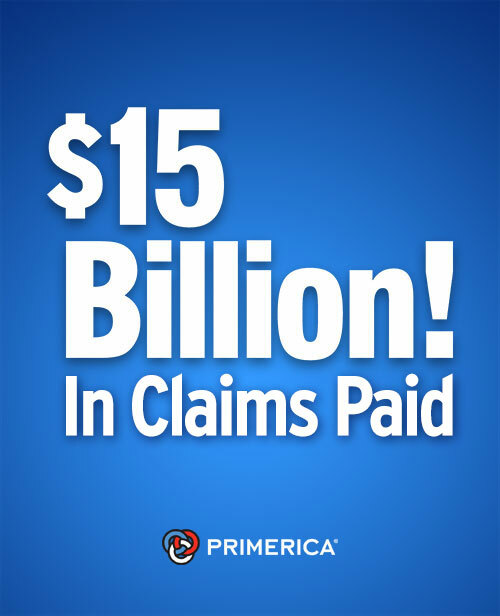 On May 31, 2013, Primerica crossed the $15 billion marker in claims paid to families by its life companies in the U.S. and Canada. That’s $15 billion that kept families in their homes, put food on tables, sent kids to school – and so much more. That’s $15 billion that kept families together and brought peace of mind. At Primerica, we do what’s right! Note: Primerica’s affiliated life insurance companies include National Benefit Life Insurance Company (Home Office: Long Island City, NY) in New York; Primerica Life Insurance Company (Executive Offices: Duluth, GA) in all other U.S. jurisdictions; Primerica Life Insurance Company of Canada (Head Office, Mississauga, ON) in Canada. 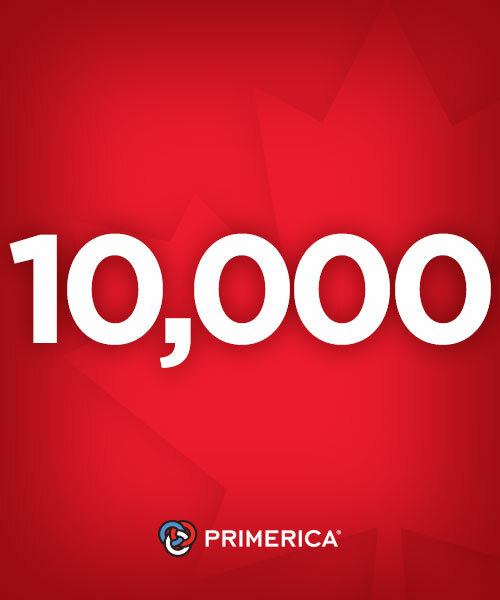 Tags: $15 billion, canada, claims, life insurance, paid, Primerica, U.S.
Primerica is proud to announce that the largest financial services distribution sales force in Canada continues to grow — we have eclipsed 10,000 licensed agents in Canada. Congratulations to the Primerica Canada team – and to all the families they help each day. Almost every kid growing up is exposed to some sort of entrepreneurial activity. Whether it’s fundraising sales for school or car washes or even a lemonade stand, experiences like these allow children to see the value of working hard for yourself. For Daniel and Sandra Pirillo, of Toronto, Ontario, those early lessons paved the way – and lit the spark – for their career as Primerica entrepreneurs. *Primerica income figures are based upon rolling 12‑month gross cash flow (including advances) as of November 2012. The cash flows stated are not intended to demonstrate the earnings of typical RVPs/representatives. Rather, the cash flows that have been cited reflect the potential that comes with building your business, and there is no guarantee that you will achieve any specific cash flow level. Most RVPs/representatives do not achieve the levels illustrated. In the 12‑month period ending in December 2011, Primerica paid a total of $504,514,944 in compensation to the sales force at an average of $5,544 per licensed representative. Average RVP earnings are typically higher. Actual gross cash flow is, among other factors, dependent upon the size and scale of a representative’s organization, the number of sales and the override spread on each sale, and the ability and efforts of you and your downlines. Having said this, Primerica provides a tremendous opportunity for individuals who work hard and who desire to develop a business with strong income potential.